There is one common brand positioning trap that captures more manufacturers than any other. In fact, the trap is so commonplace that many actually believe it is folly to not fall into it. And there it is. The QSP trap is set. When pressed further, these manufacturers will often struggle to clearly articulate any sort of competitive differentiation. When asked for proof points to demonstrate leadership—clear superiority in either product quality, customer service, or personnel—they find themselves similarly challenged for words. But what’s so bad about having the best quality, excellent service and awesome people? Beyond the difficulty of objectively substantiating these claims, when every company says the same thing, it all falls on deaf ears. Today’s B2B buyers are, too often, being presented with a sea of sameness as they survey their buying options. And unfortunately, the path from sameness to commodity is awfully short. In falling into the QSP trap, manufacturing marketers are failing on their most foundational job: they are failing to position their brand in a way that's unique, differentiated, and consistently expressed. And failing on that makes everything else harder. Indeed, as positioning pioneers Al Ries and Jack Trout said over 3 decades ago, good marketing is built on good positioning. 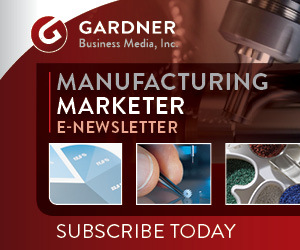 With the rise of digital, manufacturing marketers are managing more channels than ever. This often means larger marketing teams comprised of more individuals managing different brand touchpoints. These variables make achieving a consistent brand voice across channels more challenging than ever — especially when a brand’s positioning is unclear or poorly articulated to begin with. Without a true north that’s universally understood by everyone communicating on behalf of the brand, and with dozens of channels demanding different content considerations, the result is often a brand voice that is scattered, disjointed, and easily dismissed by the brand’s audience. So, what makes for an effective brand position? Good brand positioning articulates what differentiates your company and helps your audience effectively categorize and remember your brand. That said, the key to articulating your brand’s differentiation may not necessarily be what you sell, but rather, how you sell it. In other words, you must create differentiation in the brand image you project. This requires creating and adhering to a unique, consistent brand story that separates your brand from the competition. One of the most effective approaches to accomplishing this has been used by leading B2C brands for decades but largely ignored by B2B brands (and manufacturers, in particular) until recently. This approach involves the use of archetypes. In relation to branding, an archetype refers to an identity that’s assigned to a brand using symbolism. Archetypes are based on a theory developed by Carl Jung, a Swiss psychologist, which suggests that humans have an innate tendency to use symbolism to understand concepts. Jung identified 12 categories of archetypes, each with a powerful identity comprised of its own characteristics, values, attitudes, and behaviors. These archetypes have been found to be recognized across cultures on a subconscious level. You’ll instantly recognize these archetypes in relation to the characters that make up our favorite stories in literature and film. It’s well known that the tendency to recognize patterns — whether or not they truly exist — is a human instinct. Simultaneously, archetypes are universally and unconsciously recognized. When archetypes are leveraged in the context of positioning a brand, this combination can make for a powerful means of connecting with your audience. By anchoring your brand to something which is universally and unconsciously recognized, the brand becomes easier to identify. Further, this practice can help you forge deeper connections with your audience because they can use what they know about your archetypes to fill in the blanks. Consumer brands have been leveraging the power of archetypes in their marketing for decades. This has allowed brands with similar products to achieve real differentiation in the minds of their consumers, along with building brand loyalty. Take two examples in the automotive space. Mercedes Benz is a textbook example of a brand that uses the Ruler archetype to connect with its audience. Through the eyes of the Ruler archetype, the world is a place in which authority exists and some are superior to others. Car buyers don’t buy a Benz because of its gas mileage or crash test rating — they buy so that others will understand their status without saying a word. In contrast, VW embodies an Everyman archetype, which projects a friendly, unpretentious, reliable identity. A brand archetype, however, is only as good as its application. In order to leverage this powerful practice to achieve a strong, differentiated brand positioning, brands must not only be consistent at presenting a single archetype, but choose an archetype that is distinct from their competition. This is where the opportunity for true differentiation exists. By analyzing not only the competition, but the larger landscape in which a brand operates, marketers should select a brand archetype that will set them apart in their space. Once a sufficiently differentiated archetype is selected, its consistent application is paramount. A brand’s archetype should influence all marketing and brand decisions, with marketers asking themselves, “what would [insert archetype] do?”. The tone, language, values, beliefs, and characteristics associated with the archetype should be present in every brand touch point and piece of marketing. The good news is that having an archetype defined is a critical first step to achieving consistency across individual communicators and communication channels. Having a true north which is innately recognized by not only the audience, but by those communicating, helps make that possible. It helps focus individual efforts so that regardless of who is creating, or what channel they’re creating for, the brand archetype’s voice comes through. A defined archetype also provides objective criteria for reviewing and assessing all marketing and communications material. Beyond achieving brand differentiation and consistency for their own sake, the benefit of using archetypes in brand positioning can be quantified. Source: Mark, Margaret and Pearson, Carol S., The Hero and the Outlaw, New York: McGraw Hill, 2001. page 29. Quality. Service. People. While these factors are necessary to running any functioning business, they’re not what will help your manufacturing brand stand out in your buyers’ minds. Instead of competing in a sea of sameness, make your manufacturing brand memorable by tapping into an innate part of the human psyche. By employing the power of archetypes in brand positioning, B2B manufacturers can avoid the QSP trap and differentiate themselves from the competition. This practice not only enables greater marketing consistency and efficiency — it also drives bottom line results.